How do shampoo, conditioner and other styling products keep our hair bouncin’ and behavin’? 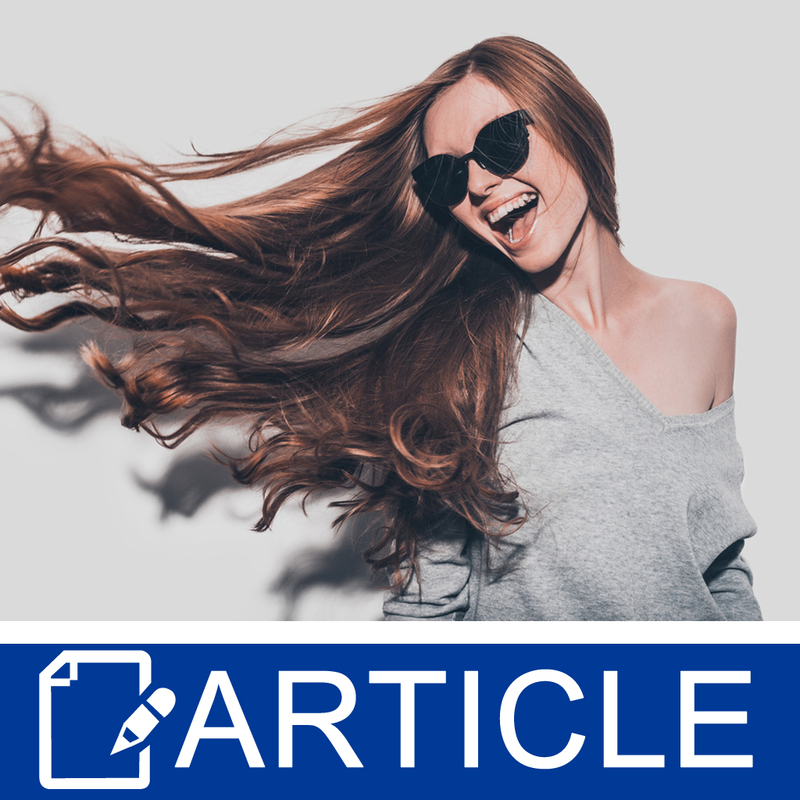 Our anionic or negatively charged hair is made up of three components - the outer layer or the cuticle, the middle layer or the cortex, and the core or the medulla. The latter contains a protein called trichohyalin, the degradation of which contributes to the water holding properties of hair. The cortex is composed of cylindrical cells embedded in a matrix of protein, which determines the mechanical properties as well as color, thanks to the melanin. The cuticle consists of overlapping scales arranged like roof tiles coated in a fine layer of lipids to mitigate friction and repel water to prevent damage to the cortex. It determines the optical properties of our hair: Curly hair shines less than straight hair as less light bounces back from the wavy bits. The shape and size of your follicles determine the shape and thickness of each strand. If you have straight, thick hair, you likely have a large circular follicle opening. If you have very curly hair, you probably have an elliptical opening. There's nothing you can do about this but sigh and wish you had the other kind (because all straight hairs want curly hair and vice versa!). Friction is not our friend! The goal of so many of our products is to prevent strands from rubbing together, which leads to tangles and mats as the scales of the cuticle interlock. At worst, the scales may be removed, leaving the cortex more exposed and the hair strand dry and brittle thanks to increased water loss. Changing the chemistry of your hair with dyes, relaxers, exposure to the sun or heat from straightening irons or hair dryers makes your hair more hydrophilic (water loving) as the lipids are stripped away, allowing more water into the cortex. More water equals more moisture, right? Unfortunately, a swollen hair shaft means a lifted cuticle, which leads to – you guessed it! – friction damage. All of those lovely treatments and conditioners can’t work properly, as they prefer hydrophobic (water hating) strands, so you don’t benefit from their awesome goodness. In addition, the pH of damaged hair increases from a starting measurement of around 3.6 for virgin tresses. The higher the pH, the less conditioner sticks to the strand, the more hair rinses down the drain. It’s a vicious cycle, and once the damage is done, it’s done. How can we maintain our hair in healthy condition and prevent further damage? Start by using products with an acidic pH to wash, condition and style. The bubbly, lathery, foamy, anionic (negative) surfactants found in a shampoo solubilize the icky stuff like sebum, pollution, dirt and yesterday’s styling products; and suspend them so they won’t re-deposit on your hair to rinse cleanly away. The goals of any shampoo are to cleanse, leave hair in good condition and deposit lovely ingredients like proteins, vitamins and oils. There are quite literally hundreds of surfactants you could choose to make a shampoo, so look for ones designed for your hair or skin type. I like C14-16 olefin sulfonate or disodium laureth sulfosuccinate for oily hair, sodium methyl cocoyl or oleoyl taurate for dry hair, or a combination of both for normal hair. Add a titch of cocamidopropyl betaine for all hair types as a mildness enhancer, surfactant booster and thickener. Which shampoo’s best for you? Conditioning shampoos contain ingredients to condition hair, such as cationic or positively charged polymers, including polyquaternium 7 or 44, or silicones, like dimethicone. Two-in-one shampoos contain more of these conditioners while clarifying shampoos contain none at all. Moisturizing shampoos contain emollients, like oils, butters, water-soluble esters or pearlizers. Conditioners are a type of lotion made with cationic (positive) emulsifiers like behentrimonium methosulfate, behentrimonium chloride or cetrimonium bromide that are substantive, meaning they adsorb to the surface of your negatively charged hair to form a very thin film. The positive charge is essential: No adsorption, no conditioning. They work to lubricate the hair shaft to reduce friction and decrease the force required to brush, resulting in fewer broken or pulled hairs and less static electricity. You can make a lovely and simple conditioner using an all-in-one conditioning emulsifying wax (INCI: Behentrimonium Methosulfate (and) Cetyl Alcohol (and) Butylene Glycol) at 7%, 0.5% liquid Germall Plus and 92.5% distilled water in my basic recipe. Make it, see what you think, then add the ingredients you love, like panthenol, silicones and more after trying it. If you like the idea of a leave-in conditioner, combine 2% conditioning e-wax, 0.5% preservative and 97.5% distilled water and package in a spray bottle. Because the conditioning emulsifier is a type of surfactant that offers extremely mild cleansing, those with very dry or curly hair may use it as their primary cleanser in a process called co-washing. There are very few differences between regular conditioners and those labelled as “cleansing”. Some may contain silicones, others don’t, but they’ll all work for this process. Adding oils and silicones to your hair routine can prevent water from entering the strand to lift the cuticle. As a pre-wash or overnight hair oil treatment, I recommend using 80% coconut oil – a well studied and inexpensive oil – with 20% jojoba oil, which penetrates through the hair follicle to moisturize from within. For a simple anti-frizz product, combine 90% cyclomethicone and 10% dimethicone and use after washing.